Before I go any further, I would just like to say that you can blame Tim Challies for all of this. He was the one who helped me realize that one shouldn't read every book the same way. Yes, of course, left to right and top to bottom. But not every book needs to be read as thoroughly. For that matter, not every book needs to be finished. So before I take any book out for a long steak dinner and a bottle of wine, I go on a speed date with the book first, complete with a timer on the table (OK, not really). I get to know the book as quickly as I can, what it's about, what the author's main idea and purpose is, etc. For an in depth treatment to this approach, see these helpful articles written by Tim Challies and Greg Koukl. Now to my main point. The reason I began by blaming Tim is because I have come across two books that demanded that I take my time with them. And so I am ruminating on them only a chapter at a time before I move on to something else during my reading sessions. And they demand my time for two different reasons, though I am equally and utterly loving both of them. So I am writing this for any readers (or CIC co-contributors) who wonder where my book reviews have gone, or for anyone at InterVarsity Press or NavPress who wonders where their books have gone. 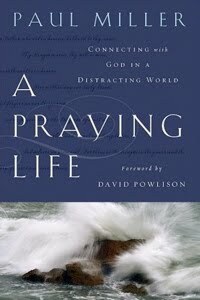 The first book I am savoring is A Praying Life by Paul Miller. While this book is not a difficult read when it comes to comprehension, it is when it comes to operation (for myself, at least, as praying has never been my strong suit). So I am reading it slowly, a chapter at a time, hoping that my application can keep up with even such a slow pace. I am about a third of the way into the book and it is by far the best book I have ever read on prayer (as many other reviewers have already attested to). You can read what others have to say about the book over at Fundamentally Reformed and at Challies.com. Or you can buy a copy for yourself at 33% off the list price over at the WTS Bookstore. 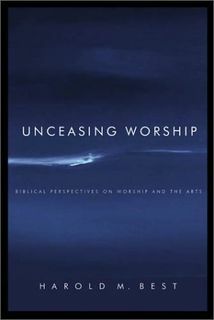 The second book I have been taking my time on is Unceasing Worship by Harold M. Best. 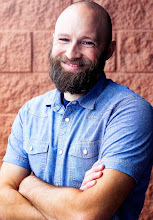 While this book is by no means a new release, I had a particular interest in reviewing it because of my role as a worship pastor, and InterVarsity Press was kind enough to oblige. I have had to take my time with this book more out of necessity—not because Harold's ideas are difficult to grasp, but because there is a wealth of depth and truth in every sentence. The first couple chapters reminded me a little of those in John Piper's magnum opus Desiring God in that I was finding myself pausing and pondering the vast truths and implications of almost every paragraph. I have just finished the first couple of foundational chapters that make the argument we are all continual outpourers of worship every moment of our lives, and now Best is describing what that can and should look like in the Christian's personal, public and church life. Visit IVPress.com for more details or to buy your own copy!